We are excited to bring back our Wednesday Afternoon Classics by celebrating Valentine’s month and the romance comedies of Katharine Hepburn and Spencer Tracy. 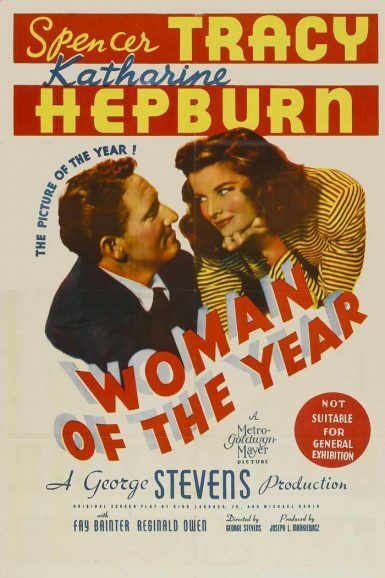 In Woman of the Year, Hepburn plays political correspondent Tess Harding and Tracy sports writer Sam Craig. The journalists fall in love, marry and the eternal conflict between the sexes begins! This is the first teaming of Hepburn and Tracy and there would be nine more. It is also the film were they first met and began their famous love affair that would last over two decades.